ODDMALL MANIA is running wild this June!!! Secret Garden Tea Party at Oddmall! Join :**:Fairy Princess Lolly:**: and friends for an enchanted Secret Garden Tea Party at Oddmall Emporium of the Weird PNW! There will be FREE tea and treats for ALL! Dress up in your favorite outfit of any sort and come join us! Early Bird Discount and WIN A FREE BOOTH FOR LIFE CONTEST deadlines extended! Congratulations to Creative Scentsations and DaKara’s Art Creations . You were both winners in our drawing for a booth refund! See you in June! Join us as a vendor in 2019! Booths are available now for our June 1 & 2, 2019 show! For every 15 people who sign up by this Friday, we will draw 1 name and that person will get their booth for free! 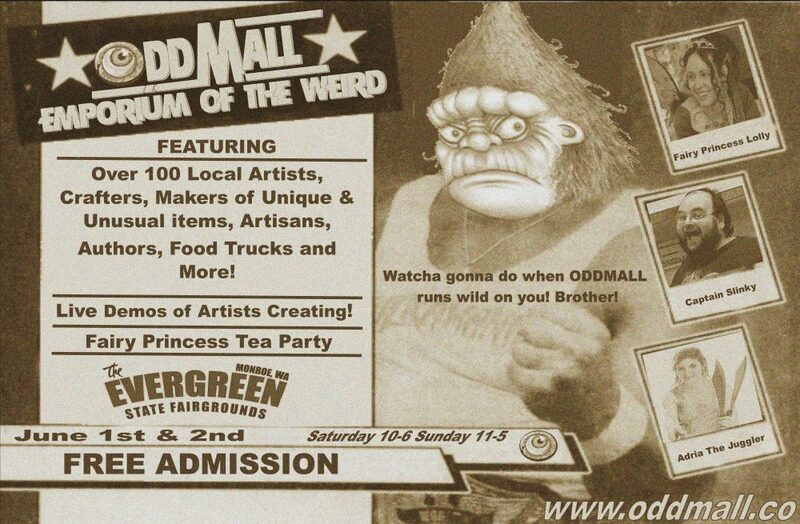 Oddmall: The Emporium of the Weird! Amazing hand made fudge! NOM! Look at all the flavors! Leather medallions and wearables with geek flair!